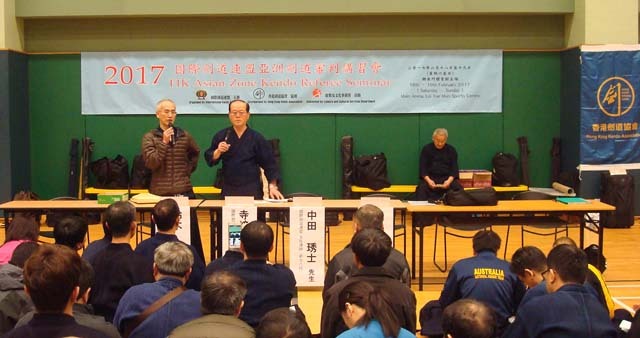 The FIK Asia Zone Kendo Referee Seminar was held from February 18–19, 2017, at Lei Yue Mun Sports Centre in Kowloon, Hong Kong. 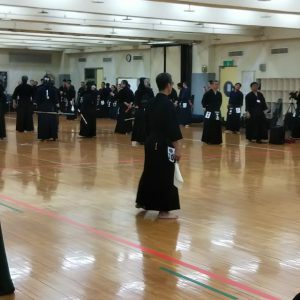 101 trainees from nine countries (Japan, Korea, Hong Kong, China, Chinese Taipei, Australia, Malaysia, Macau, and Singapore) attended the seminar. In total there were more than 130 people taking part. 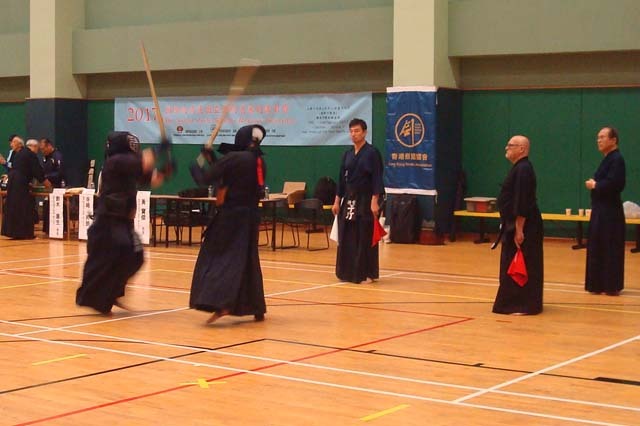 This also included local kendo staff and competitors from Hong Kong who had some great practice matches throughout the seminar. 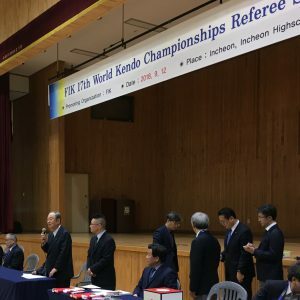 Following the opening address by Wong-sensei, President of the HKKA, Chief Instructor Nakata-sensei explained the important points of refereeing kendo matches. 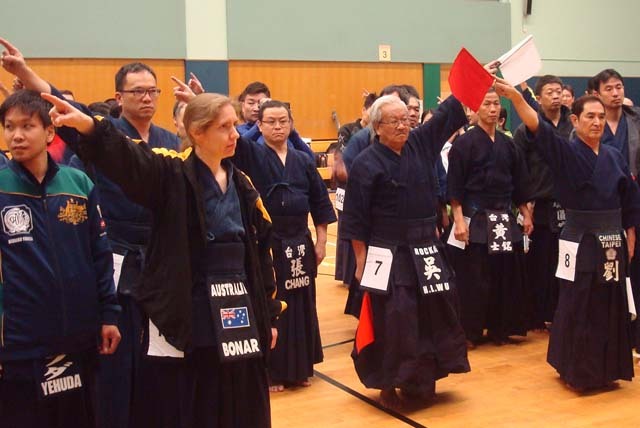 The referee training session was then started on two courts by Suzuki-sensei and Terasaki-sensei. 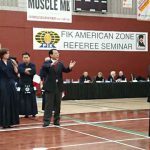 The main point of this seminar was to clarify what a “yuko-datotsu” (valid strike or thrust) is, as well as confirming other refereeing details.